Photo © Alexandre Gilbert. Interprètes / Dancers Victoria Mackenzie, Rahime Gay-Labbé, Marie-Reine Kabasha, Elon Höglund, Mecdy Jean-Pierre, Emmanuelle Lê Phan. Photo © Alexandre Gilbert. Interprètes / Dancers Elon Höglund, Emmanuelle Lê Phan. Photo © Alexandre Gilbert. Interprètes / Dancers Victoria Mackenzie, Emmanuelle Lê Phan, Elon Höglund, Marie-Reine Kabasha, Mecdy Jean-Pierre. 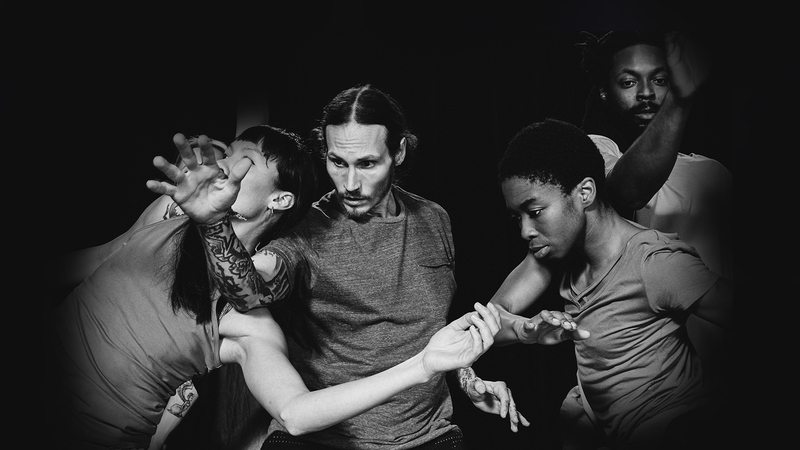 Six of Montreal’s best street dancers immerse themselves in the mysterious mechanics of breathing, and interpret its life-giving rhythm. Incandescent dance. An exhilarating blast of air. 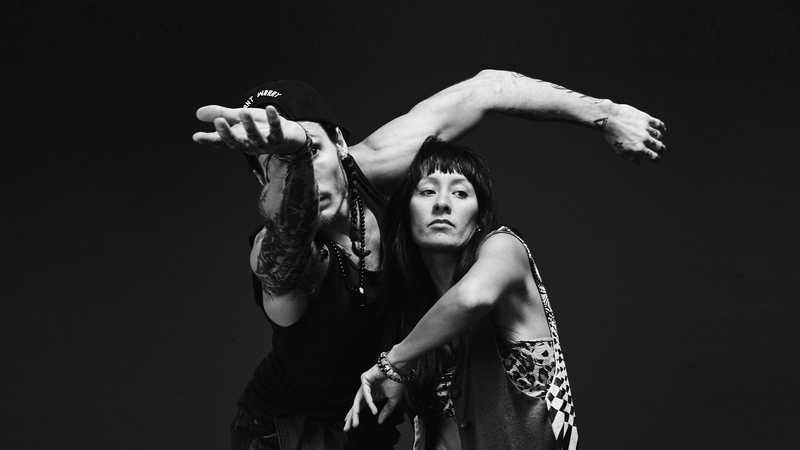 The creative partnership between Emmanuelle Lê Phan (Canadian) and Elon Höglund (Swedish)—artists and choreographers of rare versatility, both members of the hip hop community—has yielded an imaginative and uncommon movement language. In this new work, the free-spirited pair known as Tentacle Tribe combines elements of contemporary dance, street dance and martial arts in a physical score that echoes the subtle pulse of respiration. Inhalations and exhalations sculpt the group’s gestures and movements. The interconnected bodies form striking human structures that shift, alter, evolve in synergy with the music. The invigorating power of the breath and its circulation in the organism is embodied and magnified by the energetic, almost architectural dance. From technical feats to dreamlike sequences, Ghost is a welcome breath of air. Choreography Emmanuelle Lê Phan & Elon Höglund. Dancers Emmanuelle Lê Phan, Elon Höglund, Victoria Mackenzie, Mecdy Jean-Pierre, Marie-Reine Kabasha, Rahime Gay-Labbé. Lighting design and technical direction Benoît Larivière. Rehearsal director, external eye Helen Simard. With the support of Conseil des arts du Canada, Conseil des arts de Montréal, Danse à la carte. Creative residencies Arsenal art contemporain, Centre de Création O Vertigo – CCOV, Maison de la culture Claude Léveillée – Villeray–Saint-Michel–Parc-Extension, Maison de la culture Pointe-aux-Trembles, Maison de la culture Notre-Dame-de-Grâce, Danse à la carte.